They will pass radiation tests. 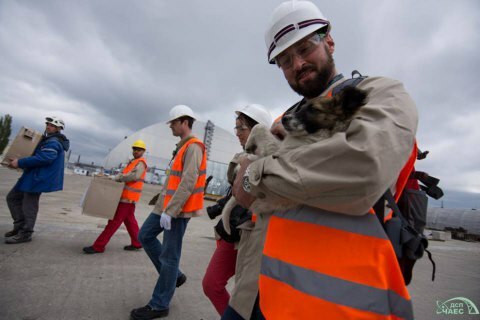 Around 200 stray puppies from the area around the Chornobyl nuclear power plant will be taken to the USA, the press service of the State Agency for Exclusion Zone Management has said on Facebook. "This April, employees of the Clean Futures Fund for the Chornobyl NPP and Novarka transported 12 puppies from the Chornobyl NPP site. They will be flown to the USA this June where they will be adopted by host families and will find permanent homes. The fund said that it had received all the necessary permits to transport the puppies, therefore it is planned to take a total of 200 dogs to the USA," the state agency said. All the dogs will pass radiation tests. They will first be taken to a special puppy shelter in Slavutych where they will spend 45 days. "The shelter has specially trained instructors who will take daily care of them. On weekends, people can come and play with the puppies," it added.